Workouts, inspiration, recipes and more! Rachelle & I are currently in a very small rental house. We have a storage room where we keep tools and coats and of course all of our workout equipment. We try to keep things organized so we have plenty of floor space for exercises. 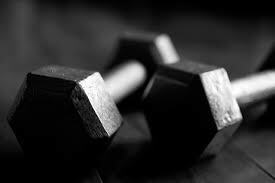 Over the past few years we have acquired equipment here and there to add to our gym. 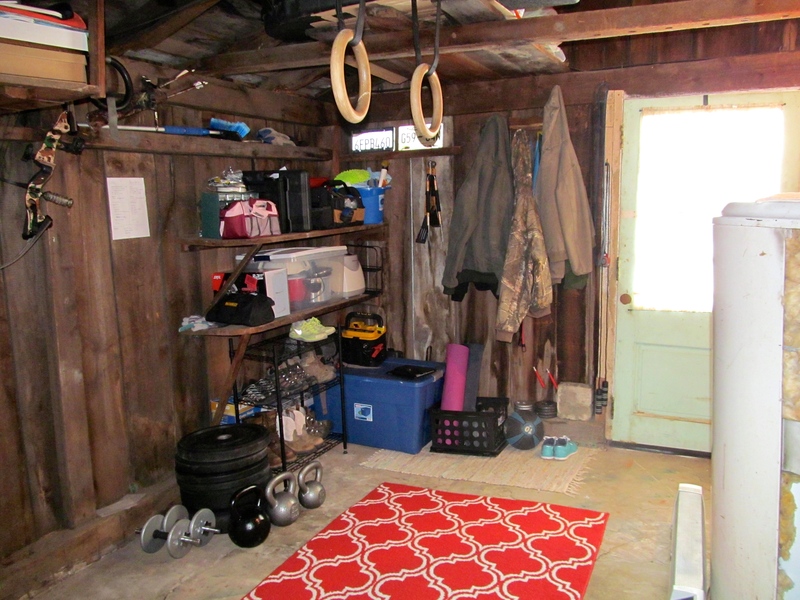 Our goal is to be able to create a fully equipped gym in our garage when we get our own place. Then this would be a space for us both to train and hopefully to train clients some day! 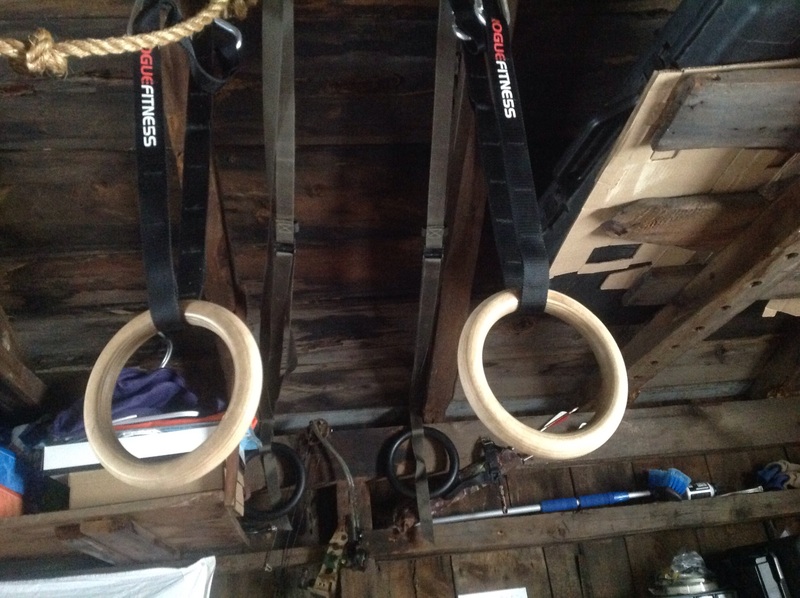 One of the things I put in were twosets of gymnastic rings and a rope for body weight strength exercises. These are a great addition to our fitness area as there are a wide variety of exercises and progressions that can be done on both the rings & the rope. 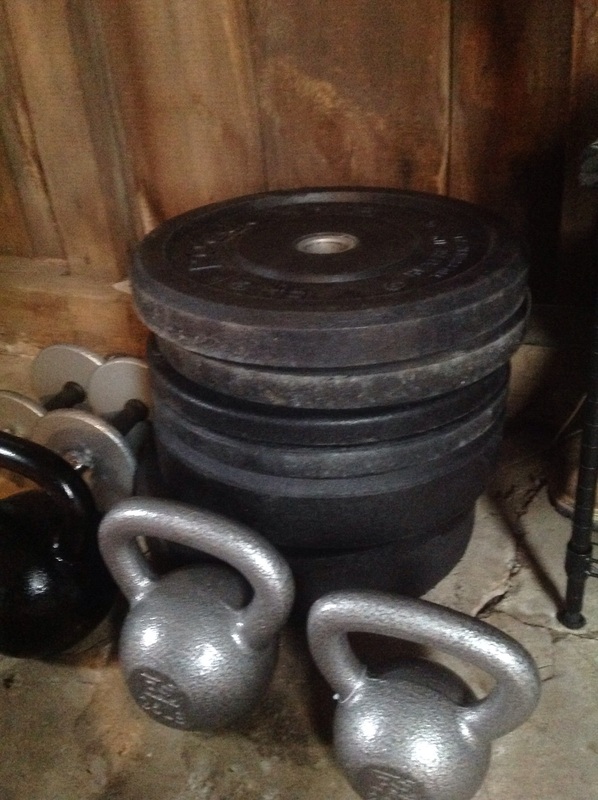 Recently we bought a bar and bumper plates for strength and power building exercises. 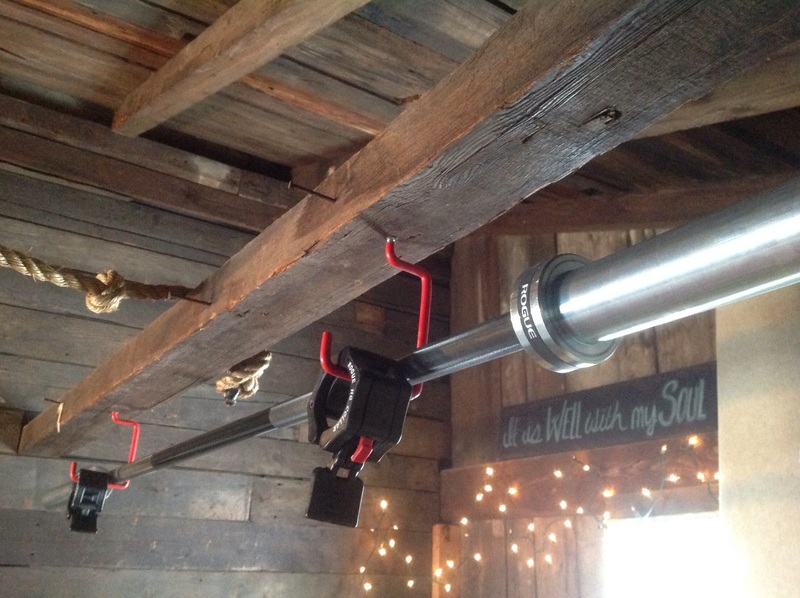 In order to keep the bar off the ground and out of the way, I put hooks in to hang it from the ceiling. We went with bumper plates so that we can drop the weights on the ground without damage done to them or to the floor. They are a little on the expensive side but they are well worth the investment! So far we have been enjoying the beginnings to our garage gym. Both Rachelle & I have been getting some hard work done in there despite the limited space and the cold temperatures. We will keep you updated as we add to our gym!